● You can receive free two-day shipping if you live within the continental United States and your order is $35 or more. If you order is less than $35, there is a $4.99 flat rate shipping fee. Keep in mind that orders shipped to Alaska, Hawaii, the U.S. Territories, and APO/FPO addresses are not eligible for this offer. ● Visit the Sale Center to find discounts as much as 50% off. Some of the discounts require a promo code entered at checkout. ● Make sure to visit the savings centers for each pet category to find savings of as much as 30% on items. ● Wag.com will sometimes offer new customer discounts and promo codes to entice you to sign up for an account. Generally these promo codes are for 20% off your order and free shipping. ● If you sign up for an account on the website and request to receive email notifications or follow the company on Facebook or Twitter you can find out about sales and promo codes. The company frequently offers promo codes that will give you free shipping on your items or up to 25% off your order. If you’re a pet owner you’re aware of how difficult it can be to find the perfect items for your pets. 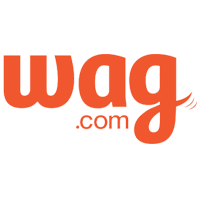 Instead of having to find a pet store in your area, Wag.com is an online retailer that carries a variety of products for dogs, cats, small pets, birds, fish, and reptiles. Pet parents are able to browse through a selection of clothing, accessories, food, and grooming tools along with any medications that your pet may have to take via the “Pet Meds” tab on the home page. You can take advantage of the easy reordering through the site if you want to continually buy the same items throughout the year. For most up to date offers check out Wag.com on Facebook and Twitter or contact Wag.com Support for any questions.